Academy of Management Review - Philippine distributor of magazines, books, journals, etc. 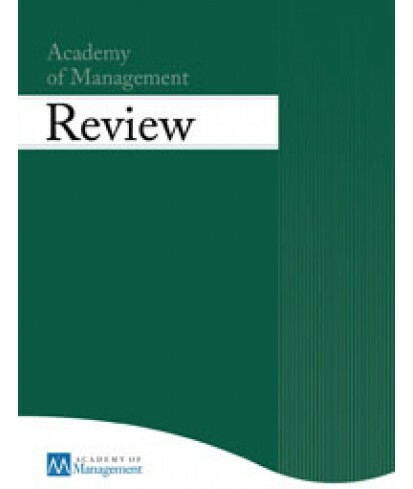 The Academy of Management Review (AMR) is ranked among the top ten most influential and frequently cited management journals. AMR is a theory development journal that publishes the highest quality conceptual work being done in the field. Articles challenge conventional wisdom concerning all aspects of organizations and their role in society and provide new theoretical insights. Includes reviews of relevant literature. Published quarterly in January, April, July and October.